Most people are unaware how much information is shared when you visit a website from your home connection. They know exactly where you are located, what internet provider you have, what operating system you are running, which browser you are using and much more. When signing up for a VPN connection via Instant VPN, all of that is history. 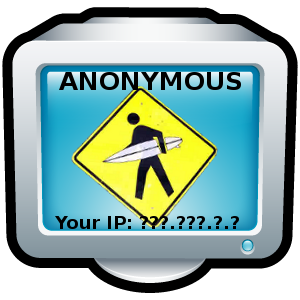 Not only is the network data highly encrypted and secured, you can also surf the web fully anonymously! Many sites that might be blocked by your internet provider can be accessed when connecting via Instant VPN service. Sign up today to benefit from these advantages. Instant VPN Guarantees Secured VPN! Our IP cloak masks your real IP address with one of our anonymous IP addresses, effectively keeping websites and internet services from tracking your web browsing habits, monitoring what you search for and discovering your geographic location. Several, easy to use and already available software packages that allow spammers and criminals to intercept your data exist, with more emerging daily. It is becoming increasingly easier to hijack and steal data and information from insecure connections. If you access the internet through a public wifi hotspot, shared internet router or even through your very own internet provider, your data, files and privacy will be at risk. Our service utilizes high grade encryption based on the cryptographically secure Blowfish CBC algorithm. This is used in conjunction with the OpenVPN protocol and is able to secure your data transmissions to the fullest. Thanks to the integration of the advanced firewall and filtering capabilities of the Netfilter Project, you will never receive any unwanted connections to your computer, server or smart phone. Our integrated filtering software delivers optimal performance and keeps out all network intrusions. With our global network and integrated firewall, the only openings to the outside internet will be those that you created. Keep the doors closed for hackers and outsiders. If your identity puts you at risk, anonymous browsing and posting anonymously on sites are of critical importance. Avoid becoming exposed on the world wide web. Anonymous browsing also helps prevent data mining, which keeps your data and identity secret. Privacy is very important these days, as websites are already able to paint clear pictures of who you are and learn which websites you visit very easily with information that can be abused in the public. Our VPN service provide unrestricted and uncensored access to the complete internet. If you are blocked by strict censorships by your ISP or firewall, this service will bypass the censorships and firewall, effectively providing you unrestricted access via a European or United States based IP address. In addition, any blocked software by your ISP including Voice over IP, P2P and other various software applications will be unblocked and unrestricted on our systems. We also provide full and complete access to your favorite website and video streams, including Hulu, iPlayer by BBC, Demand5, Youtube, Facebook and more.